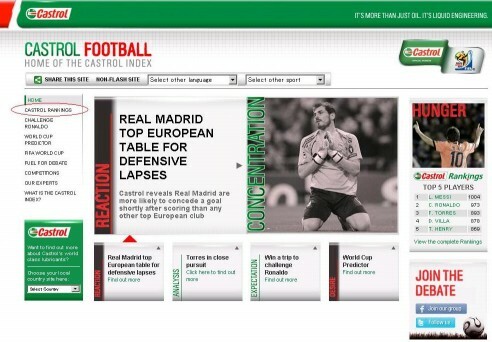 The Castrol Rankings is the world's first rankings based on the actual performance of every football player across Europe's top five leagues. 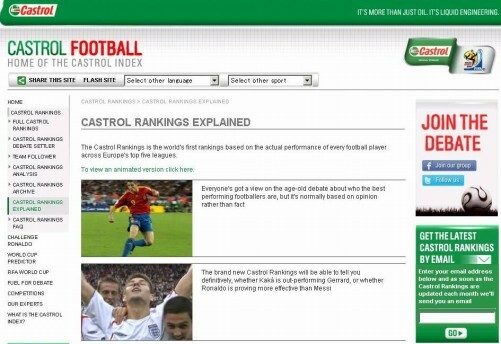 The Castrol Rankings is the world's first rolling 12 month ranking of footballers from across Europe's top 5 leagues and is based on the Castrol Index. 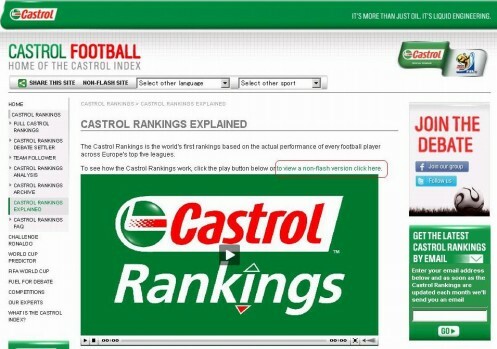 Most other football rankings are based on opinion but the Castrol Rankings are based on real performances and 100% accurate objective data. 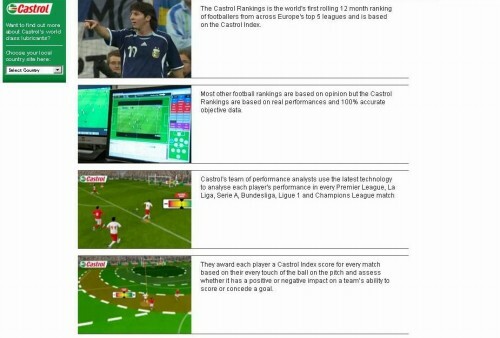 They award each player a Castrol Index score for every match based on their every touch of the ball on the pitch and assess whether it has a positive or negative impact on a team’s ability to score or concede a goal. 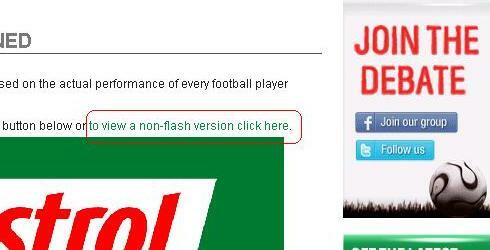 A key factor for all areas of performance in the Castrol Index is which zone on the pitch the action takes place. Players receive points for each successful pass they complete but the number of points awarded depends on which zones the ball is passed from and received in. 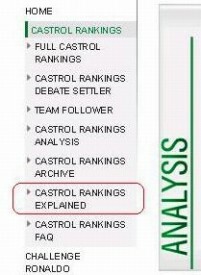 A player's Castrol Index match score out of 10 is then converted into a Castrol Rankings points total and weighted depending on the importance of that tournament. 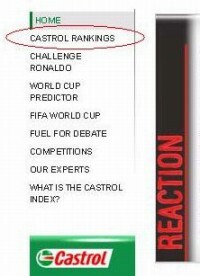 Each month the player with the highest points total per 90 minutes over the last 12 months will top the Castrol Rankings and will officially be the best performing player.